Nineteen functions into one machine! 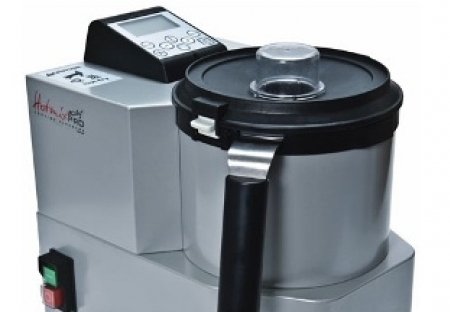 HotmixPRO Easy cooks up to 130°C (266°F) with a perfect control of the temperature. HotmixPRO Easy enables to quickly and easily create raw and cooked recipes, liquids, semiliquids, paté, even in their normal structure, thus protecting the organoleptic properties of foods. • browning, cooking, roasting and shining, whisking, pasteurizing, reducing, clarifying, keeping warm, delayed start programming. • chopping, pulverizing, homogenizing, whipping, blending, etc.